The haftarot are an ancient part of Hebrew liturgy. These supplemental readings are excerpted from the Prophets (Nevi'im) and accompany each weekly Sabbath reading from the Torah as well as readings for special Sabbaths and festivals. Noted Bible scholar Michael Fishbane introduces each haftarah with an outline and discussion of how that passage conveys its meaning, and he follows it with observations on how it relates to the Torah portion or special occasion. Individual comments, citing classical rabbinic as well as modern commentators, highlight ambiguities and difficulties in the Hebrew text, which appears in concert with the JPS translation. 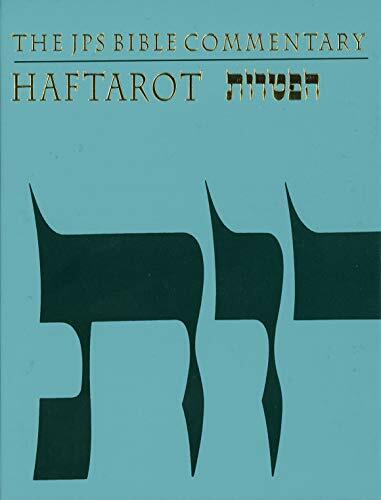 The haftarot are also put into biblical context by a separate overview of all prophetic books (except Jonah) that are excerpted in the haftarah cycle.